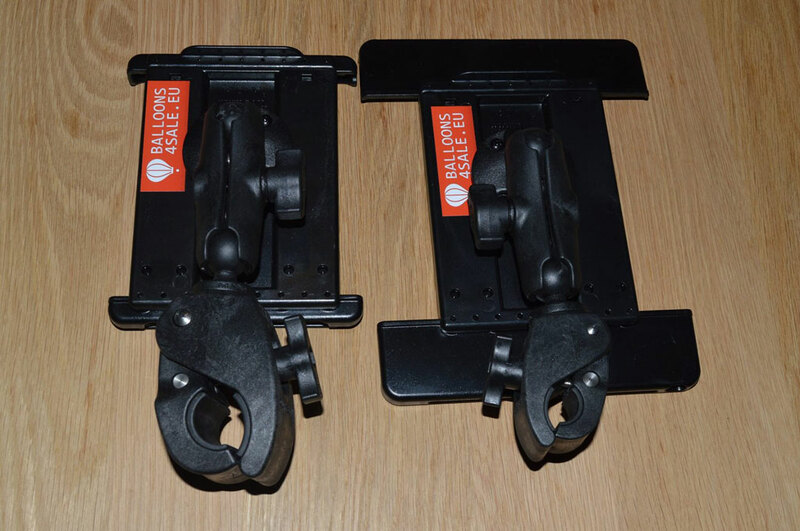 On request of various balloonists all around Europe, we have already been putting together tablet mounts for both Android and Apple devices. 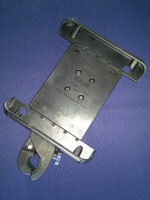 These mounts can easily be be fitted to either the tank top ring, or to the burner frame. The RAM mounts are known to be very durable, and give a solid way to mount your tablet in a proper way for use during your flights. All mounts are custom made based on your wishes. 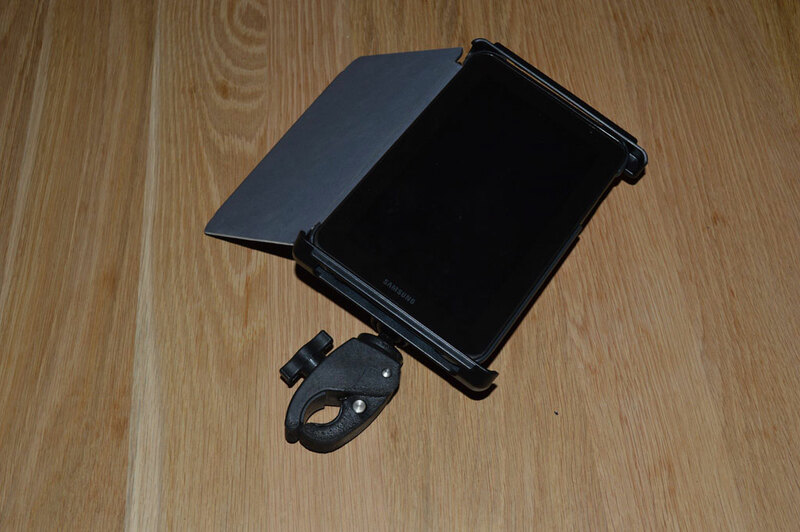 If you are looking for a proper and solid way to mount your tablet or any device in your basket and you need advise, feel free to contact us. 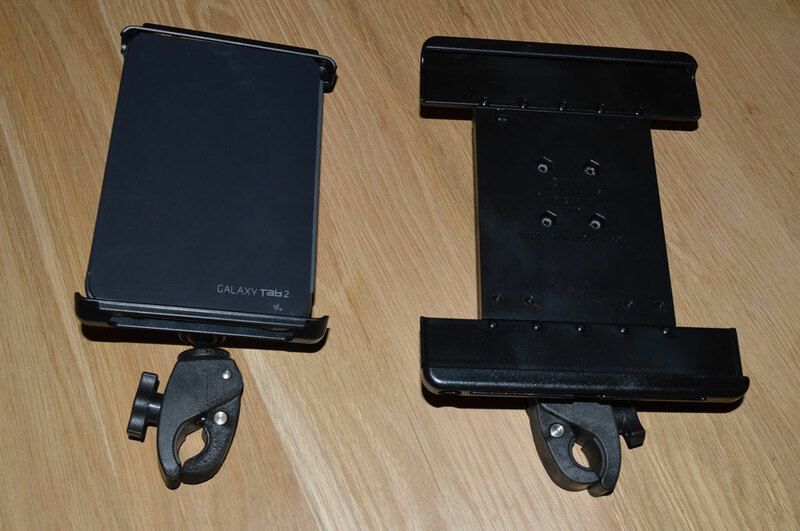 For example we made mounts for: Asus Memopad 7, Samsung Galaxy Tab 7, Samsung Galaxy Tab3 10.1, Samsung Galaxy Pro 10.1, Samsung Galaxy A9.7, Samsung Galaxy Tab S, Samsung Galaxy Note 10.1, Garmin Etrex, iPad, iPad Mini, iPad 2, iPad 2 mini, iPad 3, iPad Air, iPad Air 2, Microsoft Surface Pro 4, etc. [*] VAT will be charged always - unless you are outside the European Union or a VAT registered company in any country of the European Union, except The Netherlands. All shown prices are excluding shipping costs. Shipping costs will be quoted with the possibility to cancel your order. All orders should be paid in advance, before shipping. Payment can be done by IBAN bank transfer - other payment methods can be discussed. No refunds or cancellations possible for specially ordered items. Some, but not all items are available from stock. 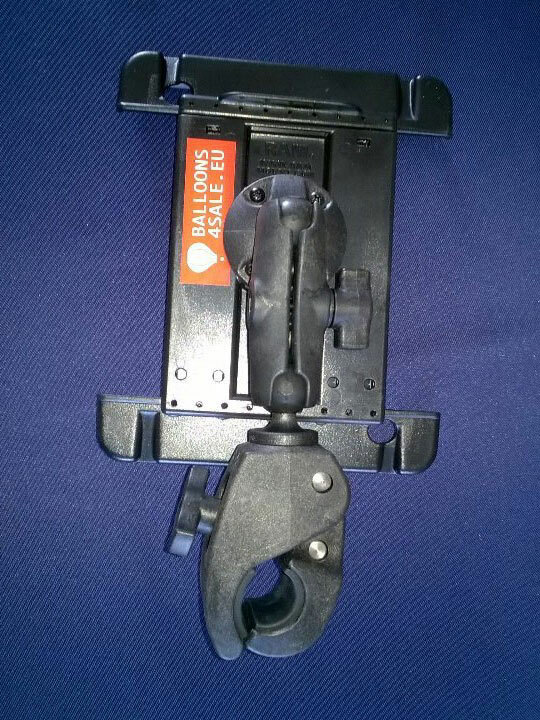 If not in stock, the delivery time depends on stock / availability at the manufacturer.